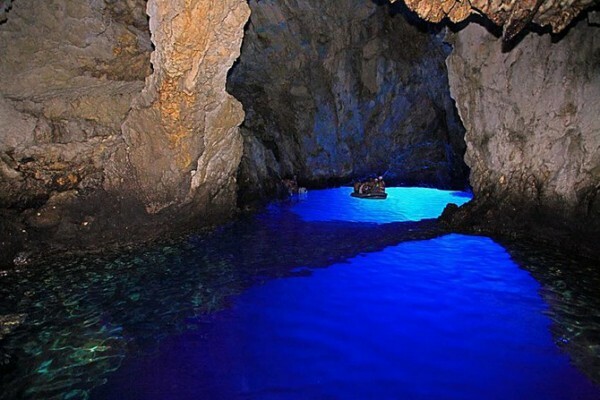 It is known locally as the blue cave or Modra Spilja in the little island of Bisevo in Croatia, while this is one of the most beautiful caves in the world. 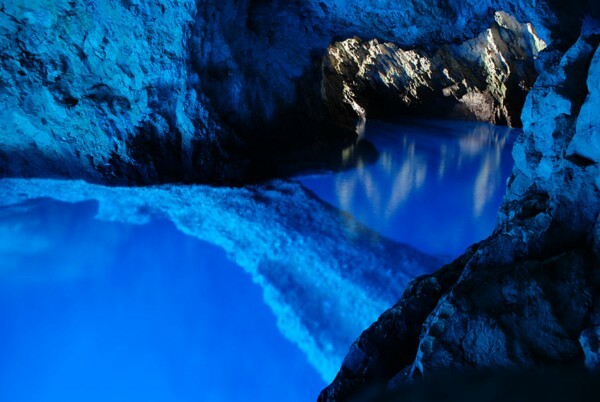 The reason: While the bulk of the cave is dark and damp, the section includes a small natural pool with turquoise water looks like it has sprung from some exotic island. 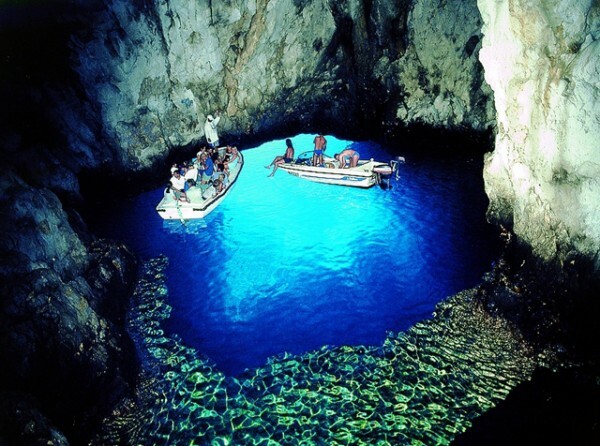 And the color of the water is due neither to any minerals found in abundance within the pool or in some unusual blue bodies of the cave. An opening in the bottom of the pond permits the natural light to reflect waters and those in turn be made blinding turquoise! 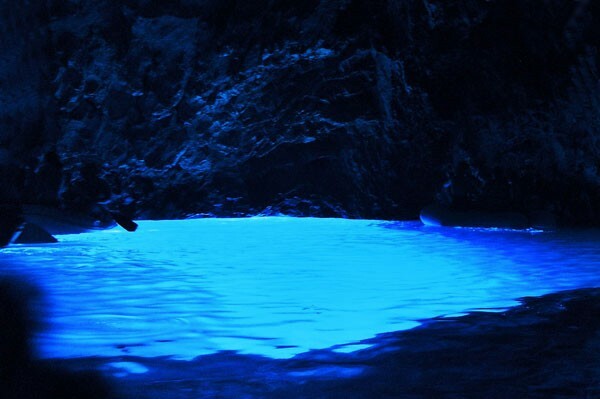 The result is a mesmerizing blue glow coming from the pool and then illuminate the entire cave, especially from 11 am until noon. The area although it is quite difficult to access constitutes one of the most popular places on the island that attracts crowds for a dip in the lake blue!